Lancôme's Définicils Mascara Gift Set combines a trio of must-have eye makeup products to help you achieve show-stopping eyes this holiday season. 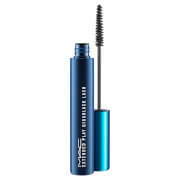 The collection offers a lash-extending mascara, black khôl eyeliner and gentle eye makeup remover. Housed in a festive gift box. Featuring a patented brush with grooved bristles, the black mascara evenly distributes, separates and coats lashes from the root for a thickened, extended and lifted effect. Weightless and clump-free, you can expect a natural-looking, even finish with every use. Ophthalmologist tested and suitable for contact lens wearers. 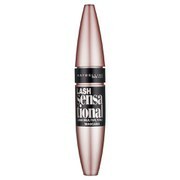 A creamy, ultra-blendable eyeliner that lines and defines eyes with intense colour payoff. Perfect for creating dramatic, sharp looks, or pared down, smokey styles, the liner delivers high definition results with precision application. Eyes look contoured and show-stopping. Suitable for sensitive skin and contact lens wearers, this gentle, non-oily eye cleanser sweeps away makeup and impurities, including waterproof eye makeup to leave skin feeling calm and refreshed. With a shake-to-wake, bi-phase formula, the solution ensures eyes are expertly cleansed, pampered and clean. Suitable for all skin types. 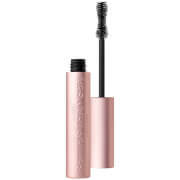 Mascara: Aqua / Water / Eau, Paraffin, Stearic Acid, Triethanolamine, Cera Alba / Beeswax / Cire Dabeille, Acacia Senegal / Acacia Senegal Gum, Palmitic Acid, Cera, Carnauba / Carnauba Wax / Cire De Carnauba, Hydroxyethylcellulose, Panthenol, Imidazolidinyl Urea, Sodium Polymethacrylate, Methylparaben, Propylparaben, Simethicone, Bht, Silica, Polyquaternium-1, [+/- May Contain Ci 77499, Ci 77492, Ci 77491 / Iron Oxides, Ci 777 /Ultramarines, Mica, Ci 77891 / Titanium Dioxide, Ci 7547 / Carmine, Ci 7751 / Ferric Ferrocyanide]. Eyeliner: C1-18 Triglycerides, Behenyl Alcohol, Talc, Isopropyl Myristate, Stearalkonium Hectorite, Silica, Propylene Carbonate, Tocopherol, Ascorbyl Palmitate, [+/- May Contain Ci 7547 / Carmine, Ci 77 / Aluminum Powder, Ci 777 / Ultramarines, Ci 77163 / Bismuth Oxychloride, Ci 77491, Ci 77492, Ci 77499 / Iron Oxides, Ci 7751 / Ferric Ferrocyanide, Ci 77742 / Manganese Violet, Ci 77891 / Titanium Dioxide, Mica]. Eye Makeup Remover: Aqua / Water / Eau, Cyclopentasiloxane, Isohexadecane, Sodium Chloride, Poloxamer 184, Hexylene Glycol, Dipotassium Phosphate, Benzyl Alcohol, Potassium Phosphate, Quaternium-15, Benzalkonium Chloride, Parfum / Fragrance, Citronellol, Geraniol. Ingredient list subject to change, customers should refer to the product packaging for the most up-to-date ingredient list.